Sometimes the thought of salad for lunch sounds boring. So to make it more fun I like to jazz it up a little. This is how I severed my lunch up yesterday. I am also going to make them up for the children at the weekend. Get a muffin tray ready to use. 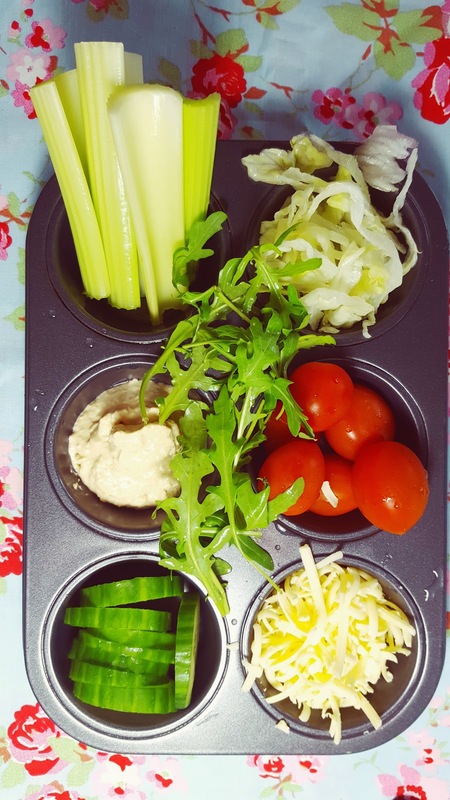 Wash and cut top and bottoms of 3 celery sticks, cut in half, add to try. Add 2 heaped spoonfuls of hummus in on hole. Wash and chop 8 slices of cucumber, add to another hole in tray. Add a big handful of washed and chopped lettuce to another hole and wash 6 plum cherry tomatoes for another slot in the tray. 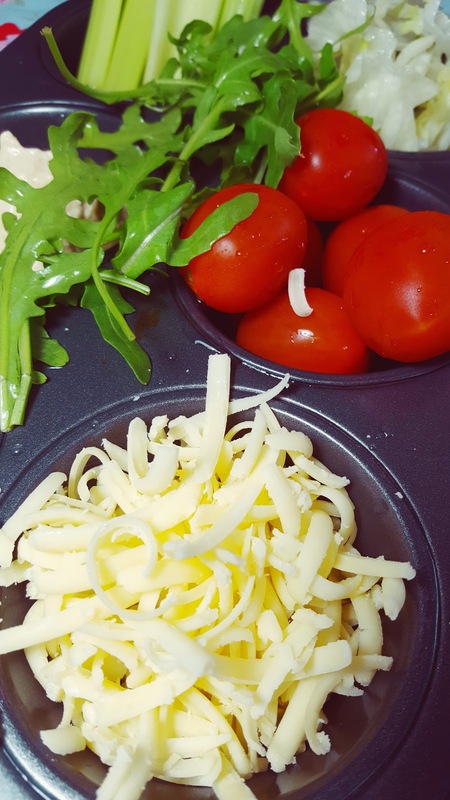 Grate a big handful of strong cheese, add to try and decorate with a handful of rocket. Serve with a few of your favourite crackers. Do you think these make a fun lunch too? 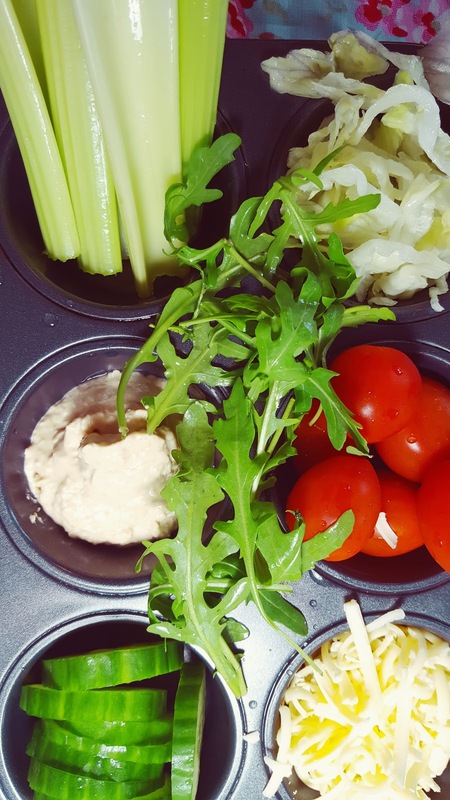 Are you looking for a nice and tasty salad treat? Fancy making a nice and refreshing Avocado Mango Salad anyone? 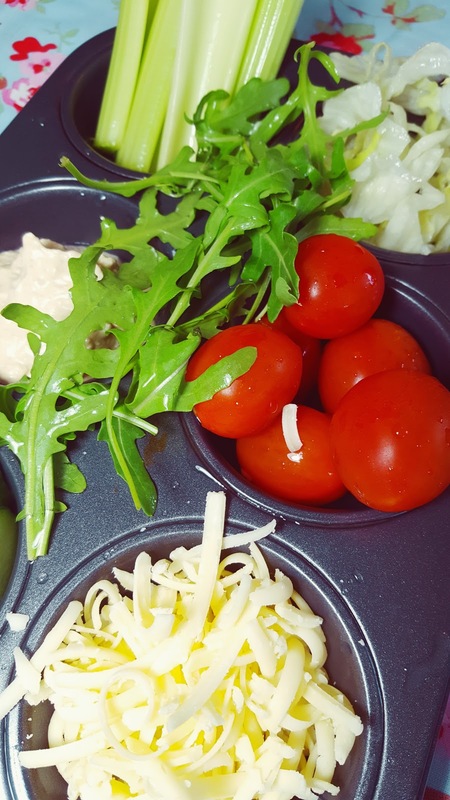 Are you on the lookout for a nice and tasty salad recipe? Chicken & Blackberry salad anyone. This chicken and blackberry salad not only looks beautiful but packs a punch when it comes to flavour. The soft chicken mixed with the juicy blackberries and the zesty lemon dressing is a winner. "Char-Cooked Courgette And Pepper Bruschetta.."
But of course! What a sweet idea. What a great idea. Lovely for party's too. Thanks Jessica, yes me too. Its the getting the salad cut up I don't like, ha!! Much nicer that it all bunged in together, you can mix and match each mouthful! What a neat idea! !I would love for you to share this with my Recipes, Crafts, Tips and Tricks Facebook group: https://www.facebook.com/groups/pluckyrecipescraftstips/Thanks for joining Cooking and Crafting with J & J! BRILLIANT! 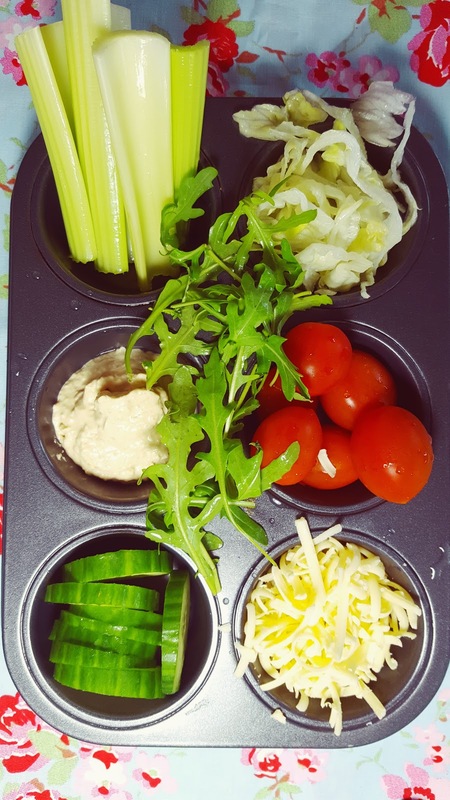 I am the type of person who likes LOTS of stuff on her salad, so to see all the options in a muffin tin is AWESOME 🙂 Makes me taste buds excited! I love this cute idea Claire! This would be great for a bbq too.Thanks for sharing this at Cooking and Crafting with J&J.